I think it fair to say that I love those little spiced caramelised biscuits you often get as complementary treat with a coffee when you are out. I have purchased Lotus biscuits many times for home too, just because I loved the rich taste. 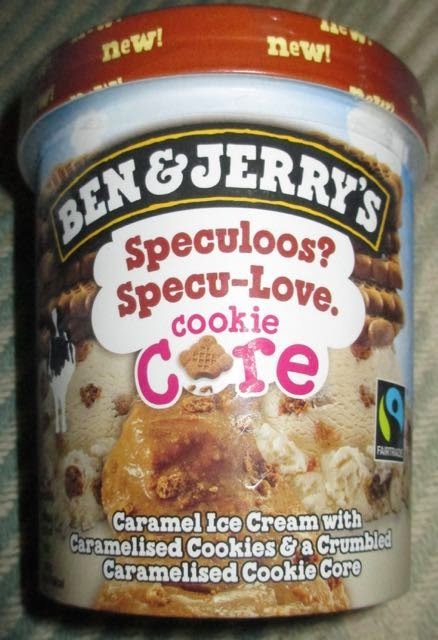 Obviously when I heard that the new ice cream flavour from Ben and Jerry was in honour of those fab Speculoos biscuits I knew I had to give them a try. The ice cream is part of the Core range where there is a special centre in the tub. As always with Ben and Jerry's I left the tub out of the freezer for a little while before serving, they do not scoop easily as I've discovered previously. Picture attempting to use your entire body weight on a spoon to desperately wedge some ice cream out and somehow just being left with a bent spoon. You'd need King Arthur to encourage it, or indeed ten minutes at room temperature. 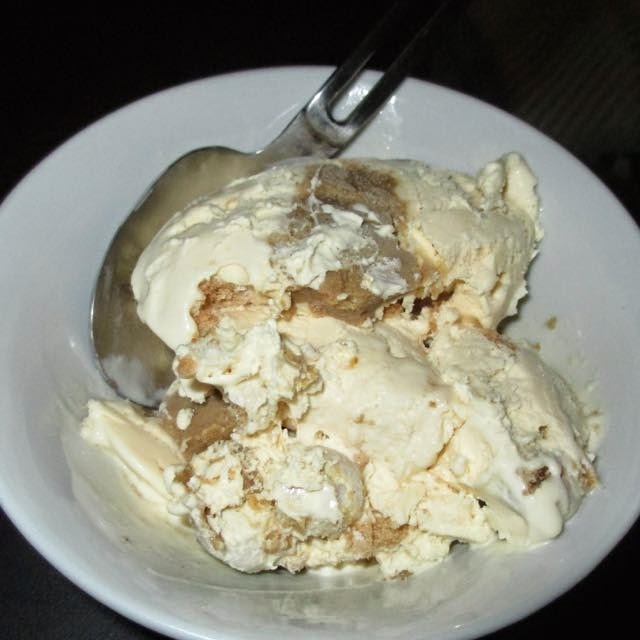 The caramel based ice cream is flavoured with caramelised cookie pieces and a similarly flavoured core. The caramel does end up being the dominant taste along with a lovely rich creamy edge. The core is both gooey but also with crunchy spiced biscuit mixed in, I loved the playfulness with the textures. The soft caramel was nice with very rich tones but the crunchy bits of spiced biscuit were absolute heaven. The creamy flavoure countered it perfectly. I absolutely loved the ice cream and the caramel and biscuit flavours. Perhaps Speculoos could be the new trend for this year, please - if you are a brand developer and someone is pushing you toward caramel think Speculoos instead - it is something I can really get on board with.